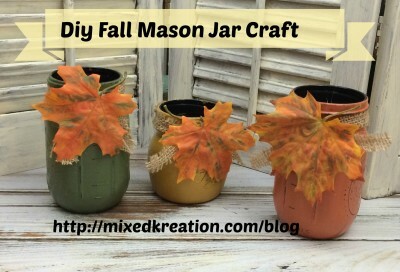 Looking for a easy Fall craft project? Then look no more, these Fall Mason jars are about as easy as you can get. 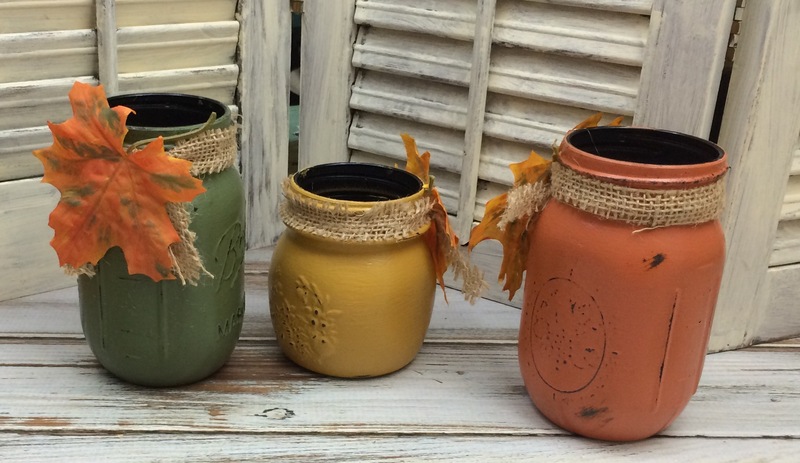 For these Fall Mason jars I first spray painted the jars with a dark brown. Once dry I use my acrylic paints in fall colors, and painted each jar with two coats. Drying throughly between coats. Next I used some sandpaper to scuff up the jars a bit to give them a worn rustic look. Wipe down with a clean cloth then seal with Mod Podge. Now tie a piece of burlap around the mouth of your Fall Mason jars. Hot glue a Fall leaf to your burlap knot and your good to go. Add some pretty fall flowers, use as a pencil holder, or even use to hold utensils for your Thanksgiving dinner. What Fall projects have you been working on? Tell me in the comments below, would love to hear about them.